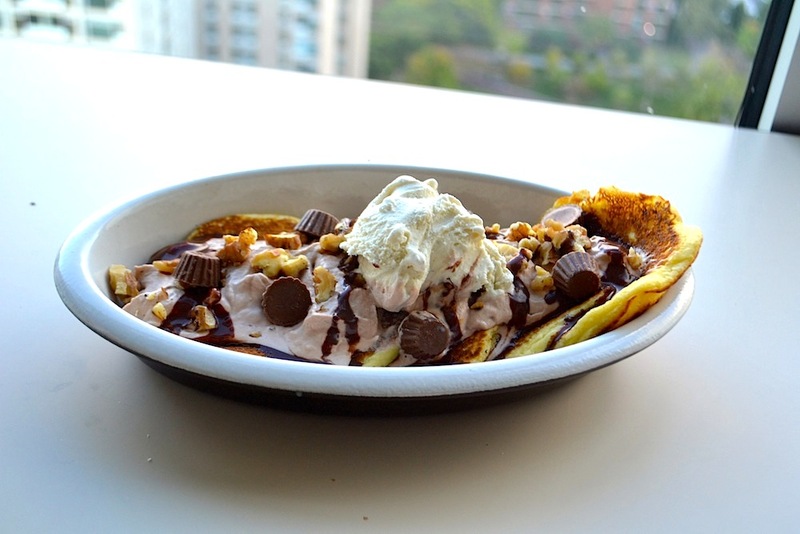 Bressert: It's like brunch, but for dessert. If you think you can handle the most absurd pancakes ever, keep reading. Pancakes are everything I look for in breakfast. One bite into those cloud-like saucers and I’m suddenly in a dream world where class starts late in the afternoon and the water is maple syrup. 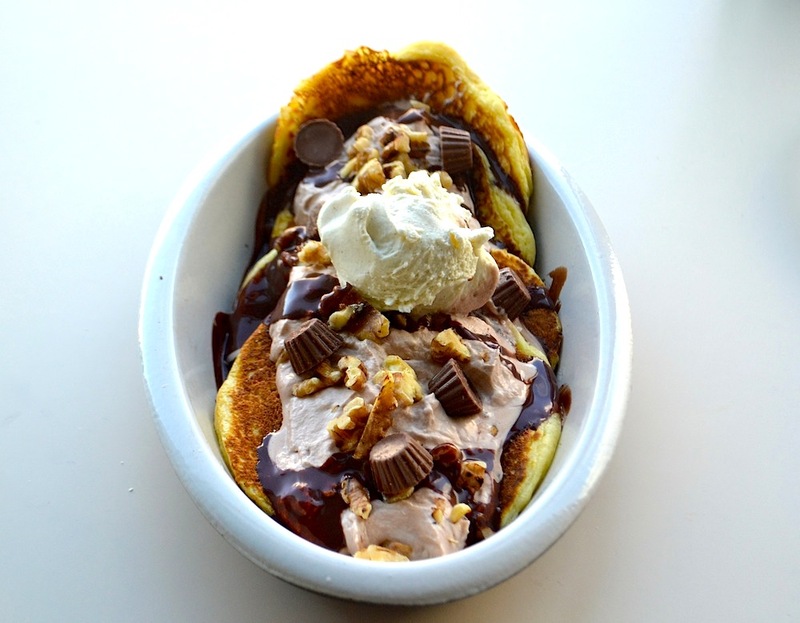 While classic pancakes are perfect, I feel you can improve upon perfection —hence, this ridiculous creation. If a bag of Halloween candy and Aunt Jemima had a baby, this pancake recipe would be the deadly result. These are totally sinful and will surely give your morning an extra kick. By kick I mean major sugar high/substantial chocolate quota filling for the day/potential cavities. Side effects may include minor arterial blockage, but once you take a bite of these, I’m sure you won’t mind. Start off with your favorite pancake recipe. 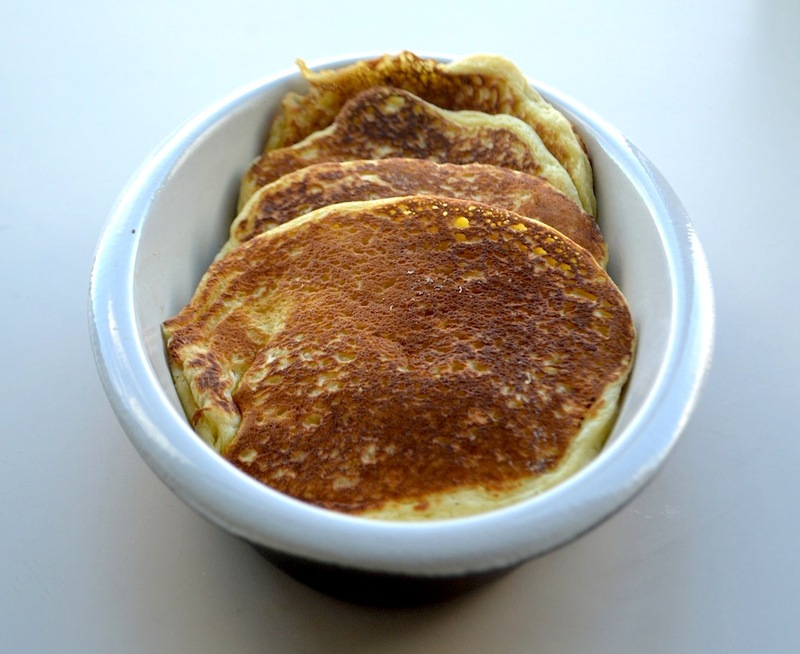 Heck, if you’re feeling extra spoony today check out these Jack Johnson pancakes. 1. Chop walnuts coarsely and toast in a skillet for 1-2 minutes at medium heat. You know they’re finished when you can smell them. Careful not to burn them! Set aside once done. 2. In a medium large bowl, whip the heavy cream with powdered sugar until stiff peaks form. Add a dollop of nutella and keep whisking until totally worked in. 3. Heat milk, a few spoonfuls of sugar (depends on your sweet preference, I go for one tablespoon) and butter in a saucepan until piping hot. 4. Remove mixture from heat and pour in chocolate. 5. Whisk the chocolate into the milk until it’s smooth. 9. Eat until you’re in a serious sugar coma.